Stock changing daily please ring for more details. Due to our continued success we currently require your cars for cash, all makes and models considered with current M.O.T and service history. 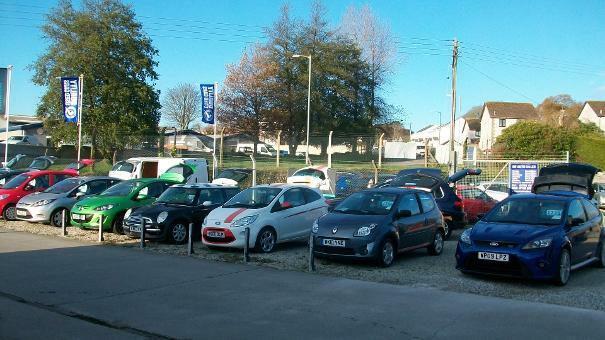 RS Autosales is an indpendent used car dealer based in St Austell, Cornwall. We can be found on Bucklers Lane which is just off the main A390 at Holmbush. Whether you are looking for your first car, a spacious hatchback or a car big enough to carry the whole family we will have a car for you. We always carry a variety of vehicles ranging from £795 to £7995 in stock and in fantastic condition. If you are looking for a particular vehicle that we don't have please call us as we can source any vehicle and specification. All our cars come serviced, fully valeted and warranted for 3 months (excluding part exchange and cars under £1500). Part exchanges are accepted and we also accept all major credit and debit cards.